In his early thirties, Canadian Paul Shore’s technological work took him on a short business trip to the south of France. The experience rekindled his love for this amazing country. So, when the opportunity arose the following year for him to relocate to Provence for a period, he jumped at the chance. Paul set up home in a cave-like dwelling in a tiny, picturesque town called Saint-Paul de Vence. 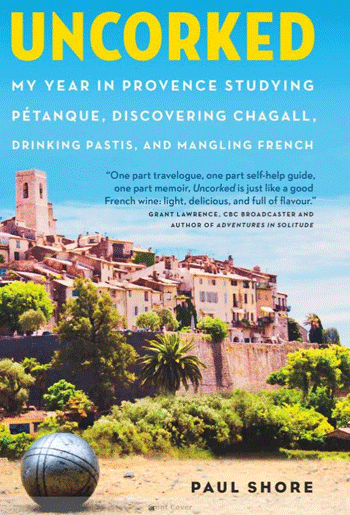 Reading this book I felt that I should have heard of Saint-Paul de Vence before, for it certainly is a gem. 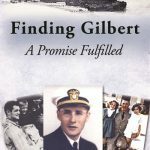 I loved reading the author’s vivid descriptions of its people and characters. I really enjoyed looking at the wonderful photographs which are scattered through the book and add so much to it. 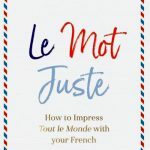 I have never been to Saint-Paul de Vence, but after reading this book I just know I will have to visit this exquisite town and see for myself the art galleries, museums, shops and of course, through this book, the now famous The Café de la Place. 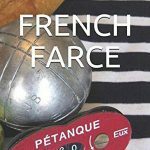 And, you never know, perhaps if I am lucky I may catch a game of pétanque. When I was a child, my dad played bowls in the UK. Now living in France, I, in my ignorance, thought that the game I often see being played on sand rectangles and other surfaces was the same. 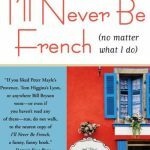 Well not now, after reading this book, and the struggle that Paul Shore had just to be able to learn how to play it like a Frenchman does. Reading about the highs and lows of being part of a team, I am now totally in awe of this traditional French game. I also learnt, that Saint-Paul de Vence is the place where the great impressionist painter Marc Chagall lived, worked, and died. There’s lots about the artist in the book, and, and through the author’s wonderfully descriptive writing it is easy to see why he decided to live here. Anyone who has moved to another country knows how difficult it is to make new friends, especially if there is a language barrier to contend with. However, I take my hat off to Paul, he did it, broke through the aloof French character and truly became accepted, not French, but accepted. This book is a thoroughly enjoyable read. 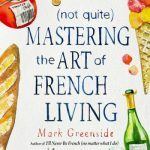 Through the chronicles of a year in the life of the author, a year which changed him, and his outlook on life as he grew to love the French relaxed attitude, it’s clear that as with all catalysts, it made him the man he is today.